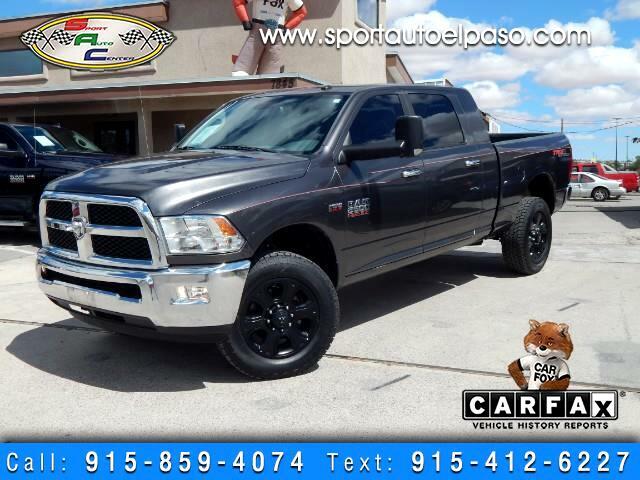 READY FOR THE HEAVY WORK WITH THIS 2014 DODGE RAM 2500 SLT!!! 6.4L HEMI!!! MEGA CAB!!!! 4WD!!!! CLOTH!!!! ALLOY WHEELS!!! ALL POWER!!! AM FM CD AUX USB BLUETOOTH!!!! PARK SENSE PARKING SENSORS!!!! COME CHECK THIS MEGA CAB OUT PRICED TO SELL GREAT MILEAGE CARFAX 1 OWNER !!! NO ACCIDENTS OR DAMAGE!!!! CARFAX ADVANTAGE DEALER!!! CLEAN TITLE INVENTORY ONLY!!!! WE TAKE TRADES!!! !